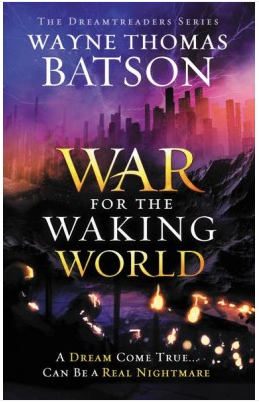 Wayne Thomas Batson brings another hit to his "DREAMTREADERS" series with The War for the Waking World. The War for the Waking World is the conclusion, and final book in the Dreamtreaders series that features a teenage boy is is one of only a few who have the ability to not only enter his dreams, but also to explore them. At any point in time, there can be only 3 Dreamtreaders, and 15 year old Archer Keaton just happens to be one of the 3. The War for the Waking World ties faith and friendship into a fantasy woven story line that is hard to put down once you pick it up. "Fifteen-year-old Archer Keaton has the ability to enter and explore his dreams. He is a Dreamtreader, one of three selected from each generation. Their mission: to protect the waking world from the Nightmare Lord who dwells beyond the Slumber Gate. But as Archer's dreams become more dangerous and threatening, so too does his waking life. In this fast-paced conclusion to the exciting fantasy trilogy, the dream world and the waking world bleed into each other when a rift is formed between the two. People in the real world suddenly find their waking lives resemble their wildest dreams. Now it's up to Archer and his fellow Dreamtreaders to race to reverse the rift before too much damage is done and to battle Archer's ex-best friend, Kara, who sits on the throne of the Nightmare Lord. Kara is building an army of her own. Will Archer be strong enough to stand against her?" 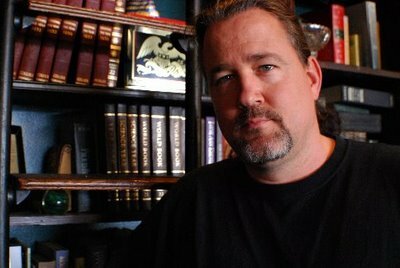 "Wayne Thomas Batson is an American writer. He has been married to his wife, Mary Lu, for seventeen years and has four children. He currently works as a teacher at Folly Quarter Middle School teaching sixth grade English language arts and is the youngest of four children. 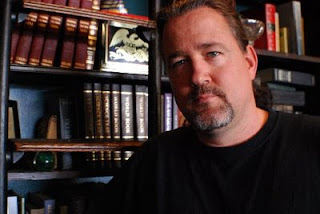 His most recent series, Dreamtreaders published by Thomas Nelson Inc (2014), is a modern-day paranormal YA adventure dealing with the subject of dreams." I was graciously given a physical copy of this book in exchange for my review, but in addition to that I was also given the first 2 in the series in a PDF format. My thoughts are this, GO GET THIS SERIES! Why are you even still reading this? GO! Now! Honestly, if you like fantasy style books, this series is great. Not only that, it is "clean." It brings faith, humility, fantasy, edge of your seat action and adventure, and friendship-all packaged in a fantastic book series. You could read just this book alone, and enjoy it. But why not get the entire series?! It's that good. It is appropriate for young adult readers, middle school'ish would be ok, 30 somethings will enjoy it....etc. The emphasis of friendship is faith, two things that are so very, very important in life, is a good solid lesson for us all, regardless of age. The twists and turns will keep your attention and your mind spinning. Overall, I loved it!